The Ledine ploughlands occupy a slightly raised terrace of the Drava river, situated north of the Torčec village in the Koprivnica-Križevci County and surrounded on the north, east and south by a deep old meander of the Drava. The archaeological site was discovered by chance, when dark earth with fragments of early mediaeval pottery was observed during ploughing in 1997. Over the next couple of years the Ledine site was visited on several occasions. In 2000 aerial photographs were taken in order to determine the presence of the site and the area it occupied. The systematic archaeological investigations were carried out in three campaigns between 2002 and 2004. The research covered a total area of 840 m2 and indicated the presence of a small rural settlement. All the discovered structures, situated on the highest position next to the meander bank and at different distances from each other, existed at the same time. The two best preserved semi-sunken square structures are the first early mediaeval residential structures investigated in northern Croatia. Their shapes somewhat differ from one another. 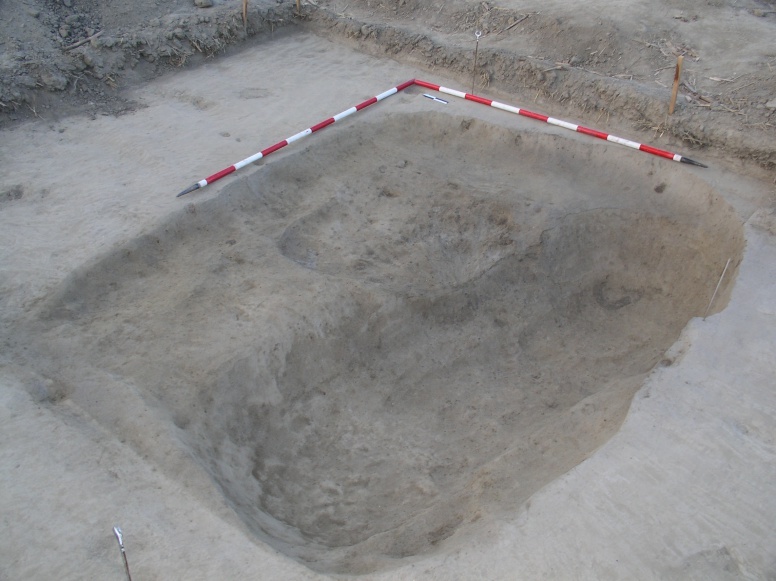 One structure had a pit in its centre, while in the other, the deepest portion was situated in the southern part. Both structures were small. One lacked any supporting posts, while the other had three stake-holes on the eastern and western edges of the pit. Based on the wattle impressions on the daub, it was concluded that these were wattle-and-daub houses, constructed with intertwined branches that were subsequently coated with mud. It is likely that the inhabitants of this settlement used oak and willow/poplar branches to build structures, that is, to weave them together to make house walls, but also hazel, which was ascertained by the analysis of wood found in one of the houses. Taking into consideration that one house lacked support posts for the roof, it probably also lacked the walls, while its light roof must have descended to the ground, possibly much wider than the burial of the pit itself. The residential structures at Ledine yielded abundant pottery made on a fast-rotating wheel, richly and diversely ornamented. In the households, in addition to ordinary kitchen pots there are also other forms – a pot with a ribbed neck, jugs with or without handles, and bowls that exhibit features of the period of the second half of the 10th century and the 11th century. 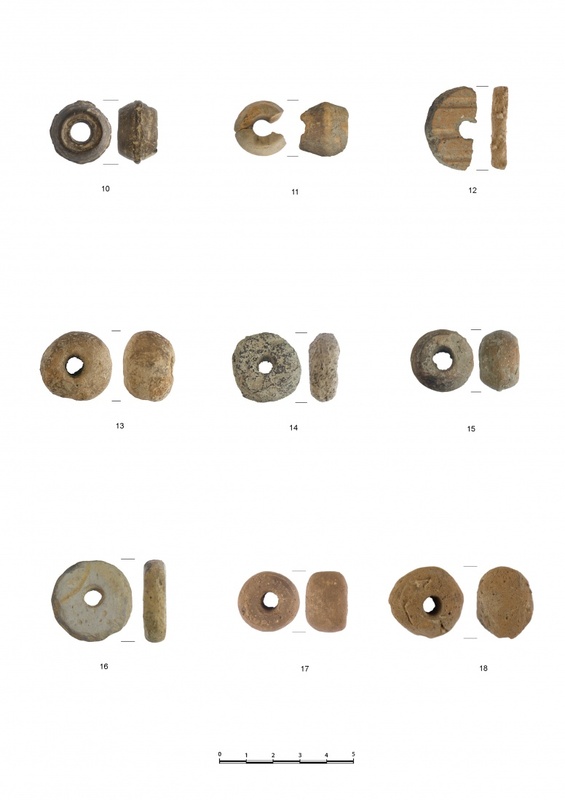 Besides pottery, a number of ceramic spindle-whorls were found, used for spinning filament yarns. This probably means wool, because the interdisciplinary analysis of animal bones showed that the assemblage of bones of small ruminants includes also sheep. A flaxseed was also found in the excavations. Even though metal types from the structures are represented by single objects, the jingle bell and an S-loop ring additionally corroborate the chronological attribution of this settlement. The presence of sharp iron objects and stones used for whetting them is also noteworthy. A metal harpoon found in the southern part of the settlement is an unusual find, suggesting that fishing played a substantial role in the economy of the inhabitants of Ledine. A further indication of this is the sizeable quantity of fish bones, which are exceeded only by the bones of pig, an animal species that featured prominently in the diet of the inhabitants. The layout of all the investigated structures at Ledine shows that in the space next to the meander they were laid out without any regular arrangement or order, representing a part of a typical dispersed early mediaeval settlement. It should be stressed that the two best preserved houses occupied an elevated position adjacent to the meander, that is, they were oriented toward the watercourse, while in the southern part of the settlement the research documented a channel running north-south, whose position points to the possible southern edge of the Ledine settlement during the 11th century. Sekelj Ivančan, T. 2010, Ranosrednjovjekovni keramički pršljeni iz Torčeca, Vjesnik Arheološkog muzeja u Zagrebu, 381-398. Sekelj Ivančan, T., Tkalčec, T., Slovenec, D., Lugović, B. 2005, Analiza keramike s ranosrednjovjekovnog naselja na položaju Ledine kod Torčeca, Prilozi Instituta za arheologiju u Zagrebu, vol. 22, 141-186.